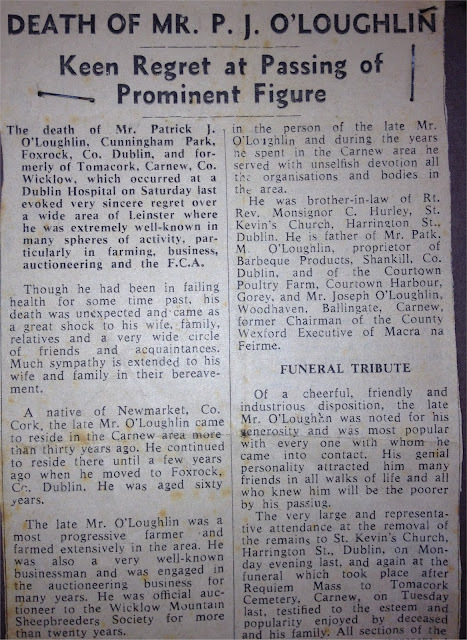 50 Years ago today my Grandfather PJ O'Loughlin died, he was just 61 years old and had been suffering from leukemia. He was a native of Newmarket in Co Cork and was known as "Pattie" while growing up. 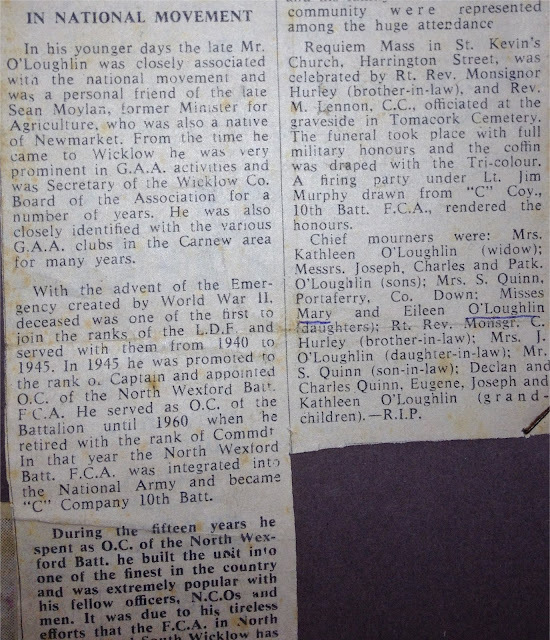 He was married to Kathleen Hurley, also of Newmarket, and they moved to Tomacork just outside Carnew in Co Wicklow some time around 1930. 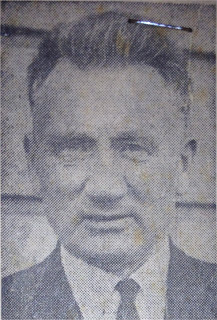 He was a farmer and an auctioneer, though would have been known more in Wicklow and for his involvement in the GAA - he was Wicklow GAA County Secretary from 1935 to 1942. 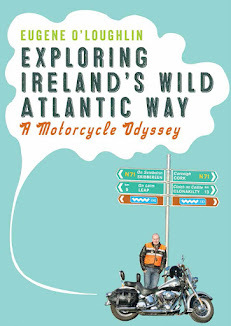 In the early 1960s he and his family moved to Cornelscourt in Dublin. I was just short of six years old when he died and I have few memories of him. I remember his funeral with the tri-colour on his coffin and shots over his grave. I recall his last visit to our farm in Ballingate and spending time with him in Cornelscourt. He taught me how to tie my laces, but my fondest memory is of the day he brought me to Croke Park and the ice cream he bought me afterwards (see my blog post about this from November 2007 here). Since my other grandfather, Paddy Byrne, lived in Canada - apart from the distant memories above I did not have a relationship with a grandfather. PJ has 17 grandchildren, though only five of us were born before he died. I'm certain had he lived longer he would have brought many of us to GAA matches up and down the country (no soccer, rugby, or foreign games for him!). I am the same age now as he was when he first became a grandfather (7th October 1959 when I was born), and I certainly hope that I live long enough to enjoy my grandchildren (when they come in a few years time), bring them to Croke Park, and buy them all the ice cream they want. Missing you today Granddad - lots of love, your first grandson - Eugene.